The Parenting Center is designed to introduce young children to school for the first time. With a parent or caretaker near by, young children feel secure and are able to explore their surroundings. Share the journey of parenting in a safe, supportive, non-judgmental environment. Led by a social worker who will facilitate discussions among parents and answer questions concerning child development. We welcome you and your toddler to join us for an enjoyable weekly experience. 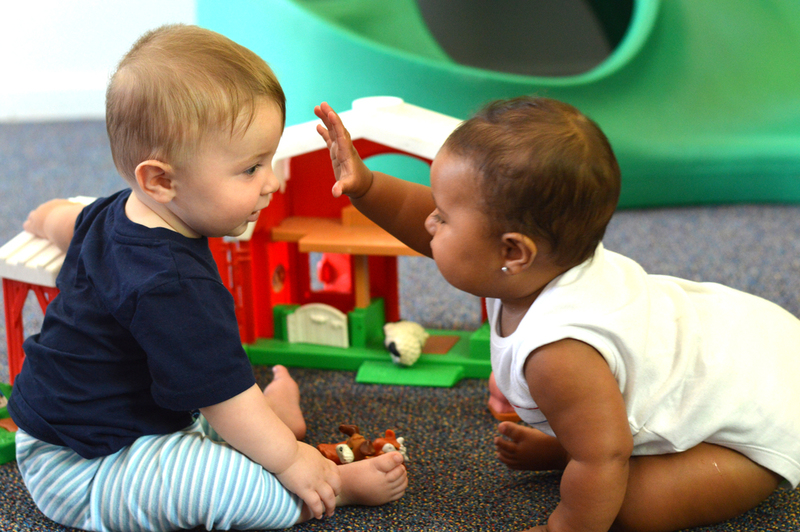 Your toddler moves around freely and will have the opportunity to play with developmentally appropriate toys and activities, meet peers, and learn about the environment around them. You get the opportunity to meet and socialize with the other adults and discuss child related issues in a friendly community. We start the class with play and exploration followed by a snack, an age appropriate art activity, as well as a story and some favorite songs. We offer opportunities for play, active exploration and discovery within a clearly structured, challenging, non-competitive and nurturing environment. Using age appropriate toys and activities. This will eventually be a separating class to prepare children for the following school year. (This is a small class 6:2) Two mornings a week.